My treatment has started again in earnest this week. Unfortunately, my efforts to regain some of my life have not been successful, and after trying my treatment monthly, my graft v host disease is beginning to get a grip on my body again, and I must resume a more aggressive regime of fortnightly. I did start a self centred moan to my Consultant, who smiled. She said that I will HAVE to slow down now, and that the staff would be pleased to have my company more often! There are certainly many down sides of being in the hospital so frequently, and the treatment is tiring, but unlike chemo, it is not toxic. I am still plugged into a machine for hours but am able to focus on my thoughts. So I try and take the positives where I can. It certainly does force me to rest, and now instead of constantly using my smart phone, I listen to music or take some thinking time. It is the thinking time that prompted this piece. I have again, become a very regular part of the nurses lives. Alongside my personal life, my ‘cancer life’ is intertwined with so many people in so many organisations, both physical ,and on social media. There are very many threads, taking me in so many different directions. Yet it feels that in some crazy way, everything joins up eventually, like a very large circle. My work takes me into some incredible peoples lives. Their stories are unique, but they become part of my life, and me theirs. I liken each life story to a jigsaw, we all have our own, in which we are a piece, but we also join up with other jigsaws, to form a larger one. As our connections grow, the picture starts enlarging, and changing. Several weeks ago I was doing some work, and my experience was able to aid the process. The people involved were wonderful, and we have been able to help each other since. We are now very much part of each others lives, and stories. Now I am not only a piece in someone else’s puzzle but my own picture is changing again. 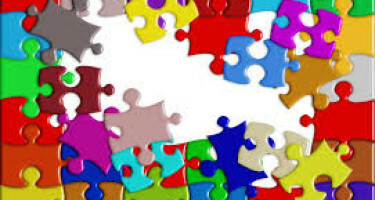 When there are pieces missing from a jigsaw, you can never see the complete picture in all it’s glory. If you consider certain groups that you know, family, friends, social, or work colleagues, when certain people are missing, it just isn’t the same. Time is a big issue for all of us, and as we get older, it becomes more difficult to find room in your life for new acquaintances. But I am finding that my list is still rapidly growing! Obviously we only have a maximum capacity, for relationship building. But as we accelerate through life, is the way that we deal with people changing? Social media means that we can maintain relationships in the way that we want. Not every person deserving of our valuable time in terms of personal attention! My life has always revolved around meeting people. Some stay in the memory, and relationships form. Others come ,and quickly go. At different times, people come to the fore and then drop back again, as priorities change. At times the puzzle gets larger and other times it gets smaller. I am always amazed that how through my illness, the relationships I am forming, feel very strong, and long lasting. Maybe it is just the phase that I am going through, but things feel very different now. Whenever I meet someone, I never feel that there is a hidden agenda. I still have my ‘business awareness’ which makes me cautious of peoples motives, but we only try to help each other. Maybe I am now a piece in an entirely different puzzle! It seems that my life is swinging around so wildly, that I don’t even know anymore, what the picture looks like. I feel that I am a ‘universal piece’ that can fit anywhere. Sometimes a corner, or whatever is required at the time. My life certainly feels like one big puzzle right now!